There are so many options when it comes to choosing a mortgage that it can feel impossible to find the one that’s right for you. From interest rates to exit fees, there’s a lot you have to take into account before making such an important financial commitment. It’s also important to make sure you know what kind of mortgage you can afford, especially if you’re a first-time buyer. 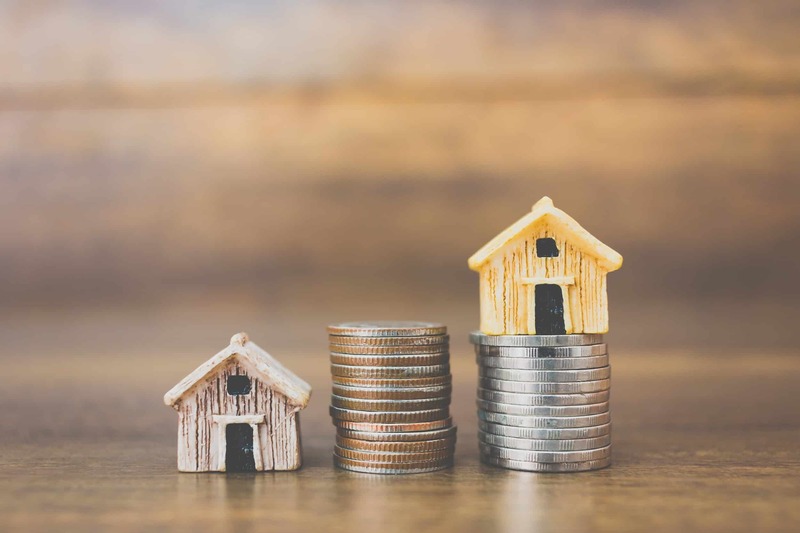 In this blog post, we look at the different types of mortgages, the types of interest rates and the advantages and disadvantages of each to help you work out which mortgage is right for you. Repayment mortgage: With repayment mortgages, you pay the interest and the capital each month. At the end of the term you should have paid it all off and own your home. Interest-only mortgage: With interest-only mortgages, you only pay the interest each month and nothing off the capital. You will still have to repay the original amount you borrowed back at the end of the term. For most people, repayment mortgages are best as they guarantee you are paying off your debt. Before applying for a mortgage, it’s important to have your finances in order. Lenders will work out your household income, regular household bills, outgoings and any debts to decide whether you have enough equity remaining to cover the monthly mortgage repayments. Lenders will also make sure that you’ll still be able to afford the repayments if interest rates were to rise. How your interest rates change will depend on what type of mortgage you have. With a fixed rate mortgage, your interest rate will stay the same for a set period, no matter what happens to interest rates elsewhere. Two-year and five-year deals are the most common, although there are longer terms of ten years or more available on the market. The longer your fixed-rate deal is, the higher the interest rate tends to be. At the end of the fixed-rate period, your interest rate will revert to the lender’s standard variable rate, which is usually higher than the rate you were paying on your fixed deal. Your interest rate stays the same for a set period, so you have the security of knowing you’ll pay the same amount each month. Fixed rate mortgage repayments are cheaper monthly if the interest rates are low when you start the deal. You won’t be affected by any rise in interest rates in the market. You could end up paying more than you would have done with a variable-rate mortgage if interest rates fall in the market. Committing to a long-term fixed rate mortgage means you’re tied to your property until the period is over, unless it’s portable or you pay expensive exit fees. Fixed rate mortgages are ideal if you’re planning to stay in your home for the foreseeable future and want to know exactly how much your mortgage repayments will be per month. If not, you might want to look into a more flexible variable rate mortgage. With variable rate mortgages, the interest rate can change at any time. Each lender has its own standard variable rate that it can set at any level and is not directly linked to the Bank of England base rate. There are three main types of variable rate mortgage: discount mortgages, tracker mortgages and capped rate mortgages. With a discount mortgage, you pay the standard variable rate with a fixed amount discounted. As with any type of variable rate mortgage, your monthly repayments can go up or down as determined by your lender. Discounted mortgages can be ‘stepped’, meaning you can pay less for six months and then more for your remaining period. Some variable rates have a ‘collar’, which is a rate below which they can’t fall, or are capped at a rate that they can’t exceed. With a tracker mortgage, your interest rate correlates to the Bank of England base rate, but is usually set a percentage above or below it. For example, if the base rate is 0.80% and your tracker mortgage rate is the base rate +1%, you would pay 1.80%. Longer-term tracker mortgages usually have a higher interest rate than those with shorter periods and because it is a type of variable rate mortgage, your monthly repayments could change. Tracker mortgages are usually offered for a limited amount of time and when this period comes to an end, your lender will transfer you onto its standard variable rate automatically. If the base rate goes down, your monthly repayments will go down too. Your interest rate will be below your lender’s standard variable rate for the duration of your deal. Your lender could change their standard variable rate at any time, so your repayments could suddenly become more expensive. You don’t have the same stability as you have with a fixed rate mortgage, as your repayments will fluctuate throughout the deal period. Capped rate mortgages are different from other variable rate mortgages in that they have an interest rate cap, which your monthly repayments can’t exceed. Your interest rate still moves in line with the lender’s standard variable rate, meaning you can still benefit from lower repayments when interest rates decrease. The capped rate is normally only available for an introductory period, typically anywhere between two to five years. When interest rates are low, your monthly repayments will be lower. You get the security of knowing your payments won’t exceed the cap. Interest rates can still increase on a capped mortgage, if only up to the cap. Capped rate mortgages can be more expensive at the outset than the tracker or discounted rates on offer. Capped rate mortgages are extremely uncommon in comparison to other mortgage types. Some lenders offer cashback programs, where a percentage of the property’s value is paid back to the homeowner upon closing. This deal typically allows you to borrow up to 95% of the property value, with cashback of up to 5% to pay towards legal fees, stamp duty or home repairs. This lump sum is either paid at the beginning or upon completion of the mortgage, depending on the lender. Offset mortgages let you link your mortgage to your savings, which are then used to reduce the amount of interest you’ll be charged per month. Your savings will be ‘offset’ against your mortgage amount, and you’ll only pay interest on your mortgage value minus your savings balance. You don’t actually use your savings to repay any of your mortgage, they just sit alongside it as security and save you interest. A 95% mortgage is a loan for 95% of the property’s price, meaning you need to provide a 5% deposit to cover the remaining amount. To qualify for a 95% loan, you’ll need a high credit score and a good history of paying bills, loans and credit cards on time, as well as showing that you can meet the monthly mortgage repayments. Buy-to-let mortgages are for landlords who are buying property to rent it out. The fees and interest rates on buy-to-let mortgages tend to be much higher than standard mortgages, and the minimum deposit is usually between 20% and 40% of the property’s value. Most buy-to-let mortgages are interest-only. Deciding which mortgage is right for you can be daunting and we recommend seeking professional advice if you feel you need to. It’s important to make sure that you add up all the charges over the length of the deal, as well as your monthly repayments, so you know what to expect. If you want to sell your home quickly, contact the experienced professionals here at Good Move to receive a cash offer in 24 hours.